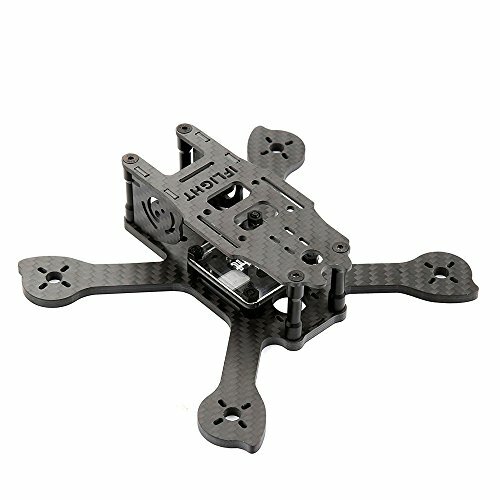 - Dual purpose FPV and HD camera mounting solution. - The X shape helps increasing the computational efficiency of the flight control and makes flying more nimble. - Motor mount strengthen to protecting motor from crashing. - Camera mounting plate with fashion design to ensure that the fast forward when you can see the front, it is compatible with most cameras on market like HS1177, HS1190, Swift, OWL Plus etc and protect them at the same time. - Gopro Mount, battery protect plate and the LED tail light with plastic cover are also available as option which can ensure safety and enhance the pleasure of flying. Frame kit only, other electronic Accessories are not included. Camera mounting plate with fashion design to ensure that the fast forward when you can see the front, it is compatible with most cameras on market like HS1177, HS1190, Swift, OWL Plus etc and protect them at the same time. Motor mount strengthen to protecting motor from crashing.